We have just sent in a prequalification entry for the reconstruction of the Tungestølen turisthytte. This mountain refuge stood at the foot of Jostedalsbreen — Europe's largest glacier — for a hundred years until destroyed by the Dagmar storm in 2011. We have teamed up (once more) with Norwegian architect Brit Sejersted Bødtker to create our vision and practice presentation for the jury. Five teams of architects should be shortlisted sometime next month to start the design competition. We would love to be on that list! We imagine Tungestølen as the intersection of two eroding forces. One force, exterior, created by the natural elements in all their rawness and their monumental scale, shaping this man-made shelter. 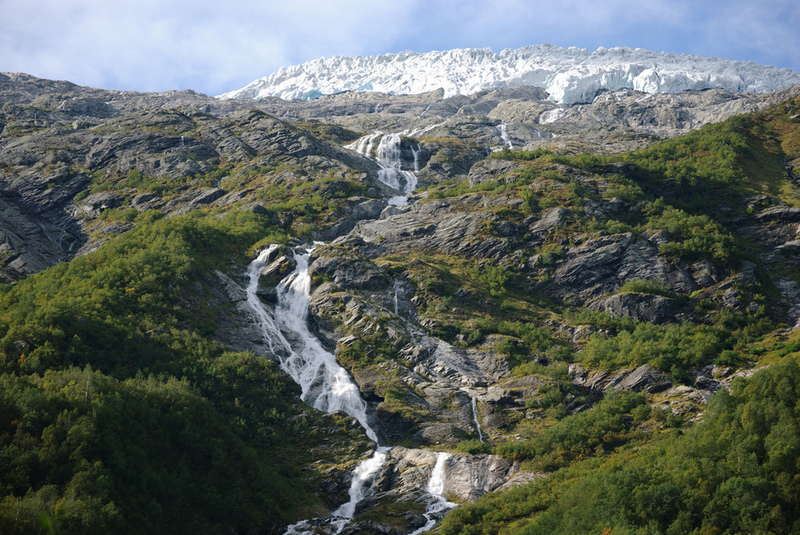 As the great Jostedalsbreen erodes a valley out of the surrounding mountains. As wind and precipitations sweep the plateau. Responding to these, Tungestølen stands, as carved out of the site by these tremendous forces. The other, carved softly from the inside, by the haptic movements of the countless visitors seeking shelter. Not just physical shelter, but also an emotional shelter. One that redefines a human scale in the midst of Nature’s grandiose setting. One that reconnects both casual visitors and explorers of Europe’s greatest glacier to the long tradition and history of the site, as a refuge and as a place of gathering. Converging on the site, these two forces are carving a place of rest and awe. Of calm and conviviality. These two forces are carving Tungestølen. The dramatic natural setting of the site, with its extreme exposure to the elements, calls for innovative structural forms that are both distinct and recognisable. From folded structures to aerodynamic forms, we will apply our wide theoretical and practical experience in the field of advanced structural formfinding techniques to create striking architecture that will subtly merge into the materiality and the social context of its site. With our extensive research into the field of prefabrication in architecture and experience in timber construction, we understand the design and cost implication of integrating prefabrication from the outset of the design process. We believe that this skill is essential for this remote site, with innovative design that is easy to build. Combined with our love of craftsmanship and our understanding of materials and traditional detailing, we will create a tactile architectural design that is both durable and cost-effective. We have successfully designed and built architecture that achieves zero energy-in-use and total energy self-reliance. We focus on passive environmental design strategy (meeting PassivHaus standards), complemented by discrete harvesting of local energy using proven technologies. We are confident that we can design a new striking cabin that meets the highest standard of comfort — year round — while keeping a minimal energy footprint throughout its lifespan. Our strength is an ability to deeply integrate these architectural, construction and sustainability aspects into a coherent design strategy, expressed all the way from the initial concept down to the detailed design of every component. But most importantly, we thrive in designing architecture in sensitive environments. Through our practices, our team has constantly explored the ambivalent relationship between man-made structure and fragile natural settings, between tourism and nature preservation. Thinking at the intersection of natural and social patterns. On the thin edge between architecture and nature. An edge on which Tungestølen still stands. 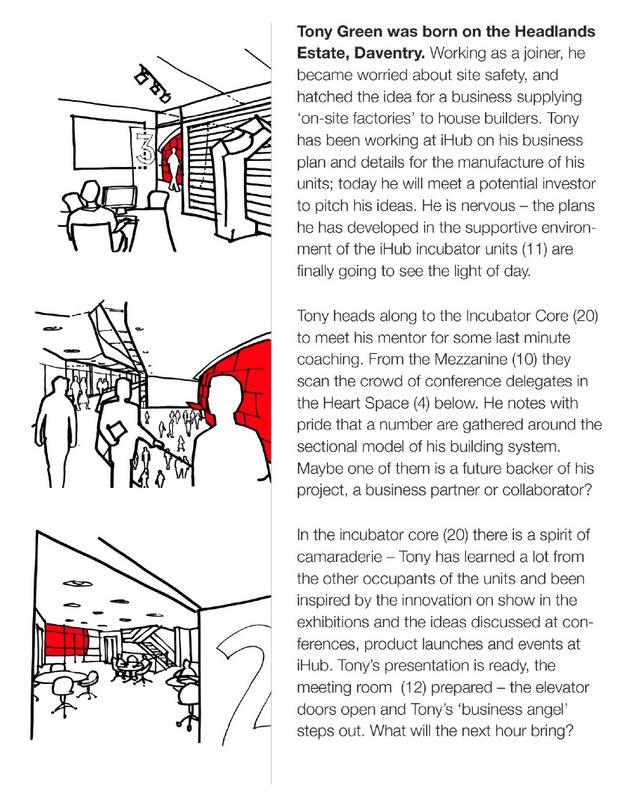 Some sketches for a short-listed competition entry — The Hub — a collaboration between 2hD, Boden Associates and Shared Architecture. Netker 10 (pronounced ‘net curtain’) was 2hD’s entry to the Bathing Beauties competition to design a landmark beach hut for the Lincolnshire seaside. The project allowed us to explore our interests in site, identity, materials and prefabrication. Great fun and we even got to play with models! Netker 10 is a landmark and hideaway for Lincolnshire. Strikingly different from its neighbours, it celebrates the traditional English seaside holiday. 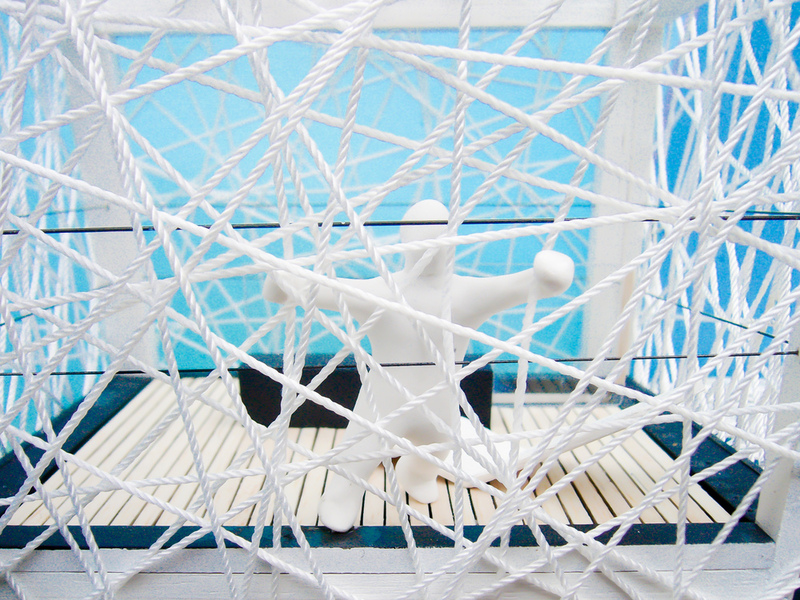 Netker 10 encourages play – inside and out. Flexible to allow the comings and goings of a beach holiday, the hut also allows people to play with their public profile – be it fun, reserved, chilled or outgoing. True to beach hut history, Netker 10 provides privacy for a decorous seaside sojourn, but takes this further by engaging passers-by in a game of peek-a-boo in which the occupant decides just how much to reveal. Lower the outer mesh doors to take a snack whilst keeping an eye on the beach, the sunset and the folk strolling by. Raise the outer doors to shade the promenade or welcome visitors. Pivot the inner doors to slip into your swimmers. Shut all doors for lock-down mode, and do what you like in there. Or open it all up and let it all hang out. The randomly-laced cables allow views out, but catch the eye of passers-by, making it tricky to see in. By rediscovering the net curtain, Netker 10 plays with inside and outside, with seeing and being-seen. It filters the elements, creates patterns with light, controls views and access. 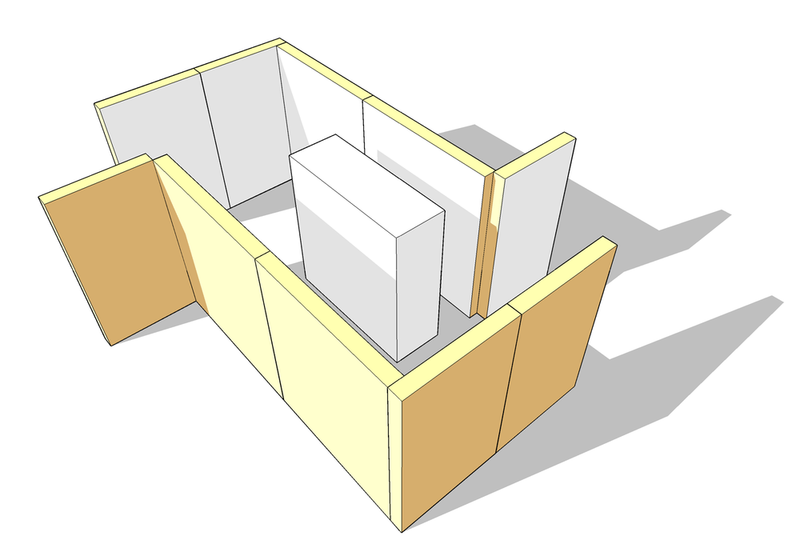 The inner layer of pivoting and sliding doors allows fine-tuning of the connection to the outside, creating the ideal family hide. 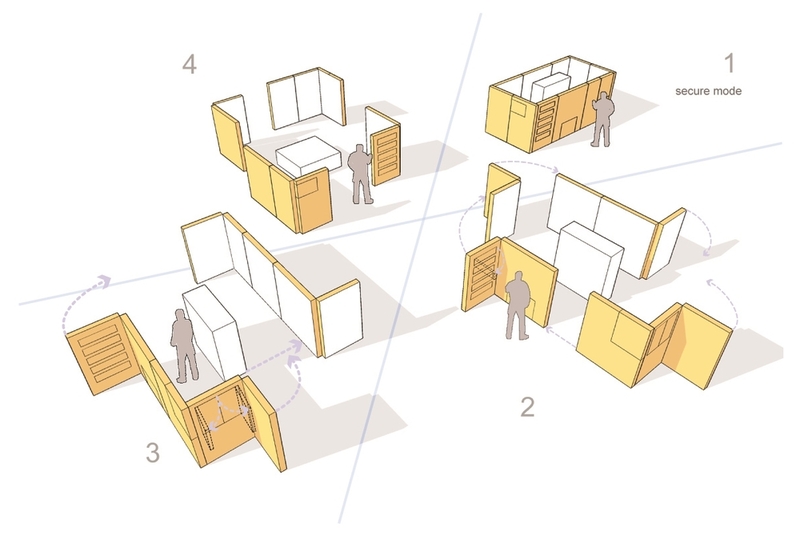 It also gives flexibility for Netker 10 to become a micro-café: ground floor servery, rooftop mini-terrace. Nested in the elevated platform, breathtaking views of Lincolnshire can be enjoyed. The diaphanous skin is created with vandal-proof and weather-resistant steel reinforced nylon rope (commonly used in playgrounds), laced over an engineered timber frame with marine ply infill panels. Exterior timber is stained, interior surfaces exposed to create a welcoming and warm space. Nothing like camping holidays on the site of the competition, on the Lincolnshire coast, to develop our concept and ideas!